The Blurb Section offers some basic text formatting capabilities, but it may not anticipate your desired result properly. Often times when text formatting behaves oddly, it has to do with the underlying HTML code that is being formed as you edit your contents. It is especially common if you are copying text from another website and pasting directly into your Blurb because hidden formatting can be copied over this way. The easiest solution is to start over by deleting the blurb and creating a new one. Then manually type the text again or copy the text from the original source again and paste it without any formatting. To remove formatting, we recommend pasting the original copied text into a basic text editor online or on your computer, and then copying that pasted text again. Or you can use the keyboard shortcut for Paste without formatting (Mac: command-shift-v, Windows: ctrl-shift-v). 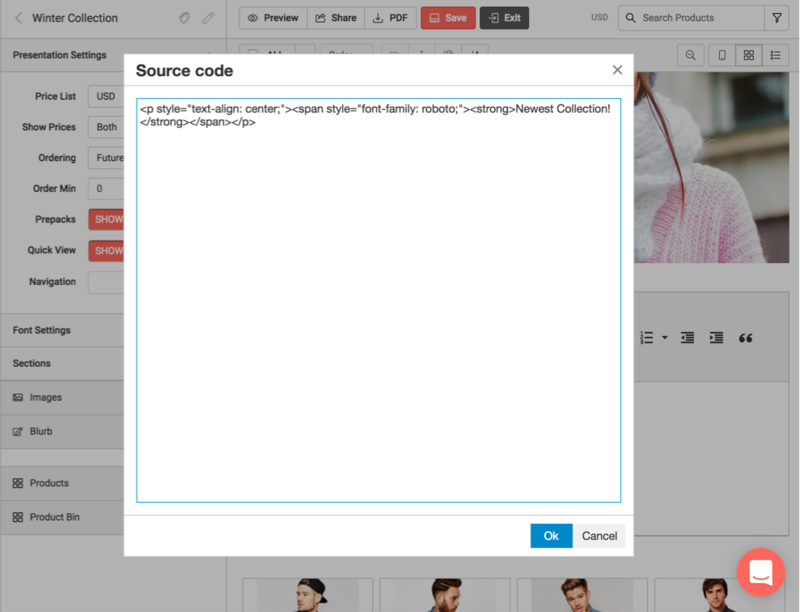 If you feel comfortable editing HTML code, you can click the Source Code button in the Blurb text editor toolbar. That will bring up a panel which reveals the underlying code for you to view and edit. If you spot extra "hidden" HTML like <div> appearing, you will need to remove them so they do not interfere.